Dr. Doyle is an Assistant Professor of Immunobiology and Neurology. He trained as a Postdoctoral Scholar at Stanford University under the mentorship of Dr. Marion Buckwalter researching the role of TGFbeta signaling after stroke and developing a model of post stroke dementia. 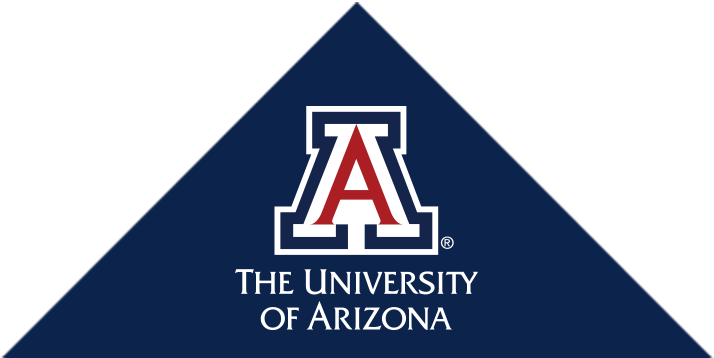 Dr Doyle started as an Assistant Professor at the University of Arizona in 2013. Dr Doyle was awarded an American Federation of Aging Research Fellowship in 2009, an Anita Roberts Young Scientist Scholarship in 2010, and a K99/R00 faculty transition award from the National Institute of Nursing Research in 2012. Cekanaviciute E, Fathali N, Doyle KP, Williams AM, Han J, Buckwalter MS. Astrocytic transforming growth factor-beta signaling reduces subacute neuroinflammation after stroke in mice. Glia. 2014;62:1227–1240. Doyle KP, Buckwalter MS. A mouse model of permanent focal ischemia: distal middle cerebral artery occlusion. Methods Mol. Biol. Clifton NJ. 2014;1135:103–110. Pollak J, Doyle KP, Mamer L, Shamloo M, Buckwalter MS. Stratification substantially reduces behavioral variability in the hypoxic-ischemic stroke model. Brain Behav. 2012;2:698–706. Han J, Pollak J, Yang T, Siddiqui MR, Doyle KP, Taravosh-Lahn K, Cekanaviciute E, Han A, Goodman JZ, Jones B, Jing D, Massa SM, Longo FM, Buckwalter MS. Delayed administration of a small molecule tropomyosin-related kinase B ligand promotes recovery after hypoxic-ischemic stroke. Stroke J. Cereb. Circ. 2012;43:1918–1924. Doyle KP, Buckwalter MS. The double-edged sword of inflammation after stroke: what sharpens each edge? Ann. Neurol. 2012;71:729–731. Doyle KP, Fathali N, Siddiqui MR, Buckwalter MS. Distal hypoxic stroke: a new mouse model of stroke with high throughput, low variability and a quantifiable functional deficit. J. Neurosci. Methods. 2012;207:31–40. Bahjat FR, Williams-Karnesky RL, Kohama SG, West GA, Doyle KP, Spector MD, Hobbs TR, Stenzel-Poore MP. Proof of concept: pharmacological preconditioning with a Toll-like receptor agonist protects against cerebrovascular injury in a primate model of stroke. J. Cereb. Blood Flow Metab. Off. J. Int. Soc. Cereb. Blood Flow Metab. 2011;31:1229–1242. Doyle KP, Cekanaviciute E, Mamer LE, Buckwalter MS. TGFβ signaling in the brain increases with aging and signals to astrocytes and innate immune cells in the weeks after stroke. J. Neuroinflammation. 2010;7:62. West GA, Golshani KJ, Doyle KP, Lessov NS, Hobbs TR, Kohama SG, Pike MM, Kroenke CD, Grafe MR, Spector MD, Tobar ET, Simon RP, Stenzel-Poore MP. A new model of cortical stroke in the rhesus macaque. J. Cereb. Blood Flow Metab. Off. J. Int. Soc. Cereb. Blood Flow Metab. 2009;29:1175–1186. Doyle KP, Simon RP, Stenzel-Poore MP. Mechanisms of ischemic brain damage. Neuropharmacology. 2008;55:310–318.